Two concepts come to mind when contemplating Technology and its significance within education. Firstly, once hailed as the Holy Grail for its innovation within the communication field, Technological innovation increasingly holds the auspicious role of ‘global saviour’ when engineered by socially conscious citizens. Experts argue that we are now living in the age of the Anthropocene – the proposed epoch when humanity has irrevocably altered the planet’s geology and ecosystems. Can the youth of today, who will live in a world where the ‘internet of things’, ‘bio- wearables’ and ‘blockchain’ technology are the norm, turn our influence around and steer our global impact in a new direction towards a more sustainable future aided by innovative technology? Secondly, technology (characterised by exponential growth) surely needs to be influenced by socially conscious citizens as eluded to above. For example, exponential growth of internet technology may be tempered by our socially aware youth favouring net neutrality. Equally so, it appears that technology is forcing companies to be better global citizens. “In the age of internet transparency, it seems corporates no longer have anywhere to hide – a spot of corporate social responsibility (CSR) whitewashing is not going to cut it anymore” (Lawson, 2016). At St Andrew’s College we are aiming for continuous improvement as far as opportunities for ‘technology enablement’ and development of ‘computational thinking’ are concerned. Well-supported by our Technology Department’s academic expertise and our ICT Division (headed by Director, Sam McNeill, and e- Learning Integrator, Tom Adams) the additional support we offer GATE students includes: Coding Club, Neuroscience Learning Module with participation in the Australasian Brain Bee Competition for Year 11 students, Forensic Science and Astrophysics Learning Modules, Passion Projects where students have the opportunity to complete coding-based projects, online participation in the New Zealand Diplomacy Competition, attendance at University of Canterbury public lectures, such as the recent Black Hole lecture, meetings with University of Canterbury lecturers and access to technology-based opportunities and events such as the recent Singularity University workshop. Future strategies for 2017 include: offering Geographic Information Systems modules as part of the Year 9 and 10 Academic Extension and Enrichment (ACEE) Programmes, development of the Coding Club supported by Tech tutors drawn from industry, introduction of a comprehensive robotics programme to bridge our Preparatory School’s excellent programme, facilitation and guidance for students wishing to apply for the NASA Space School, potential visits to Auckland’s Stardome Observatory and/or the Mt John Observatory, online tech learning opportunities such as edX and Coursera [the top specialisations in Coursera are all technology-based], facilitation of Orion’s Evolocity Competition, and the establishment of further connections with Christchurch’s Innovation Precinct as part of the Christchurch Tech Sector Strategy [2015-2025]. In addition we will continue to punctuate our GATE calendar with further ‘SMAC’ opportunities for intellectual growth and sharing of minds such as expanding the classroom via e-meetings. 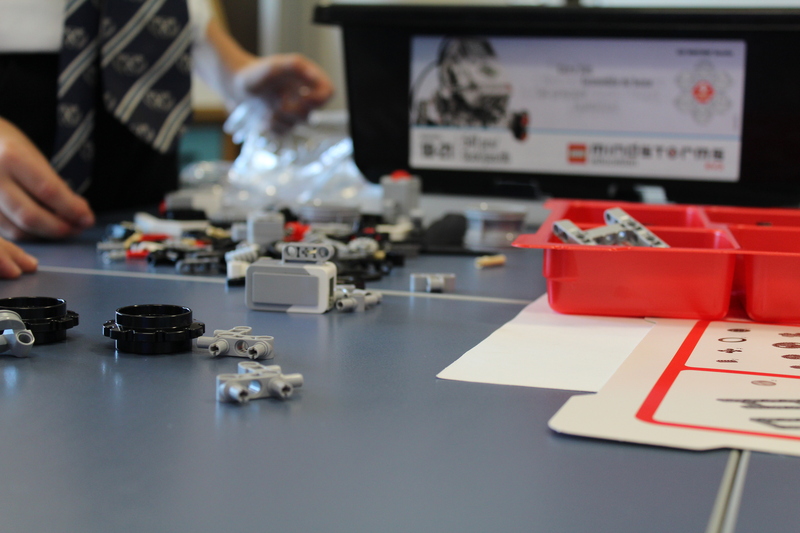 In 2015 our Preparatory School teachers began integrating robotics into the curriculum. We have blogged about it previously here, and here. 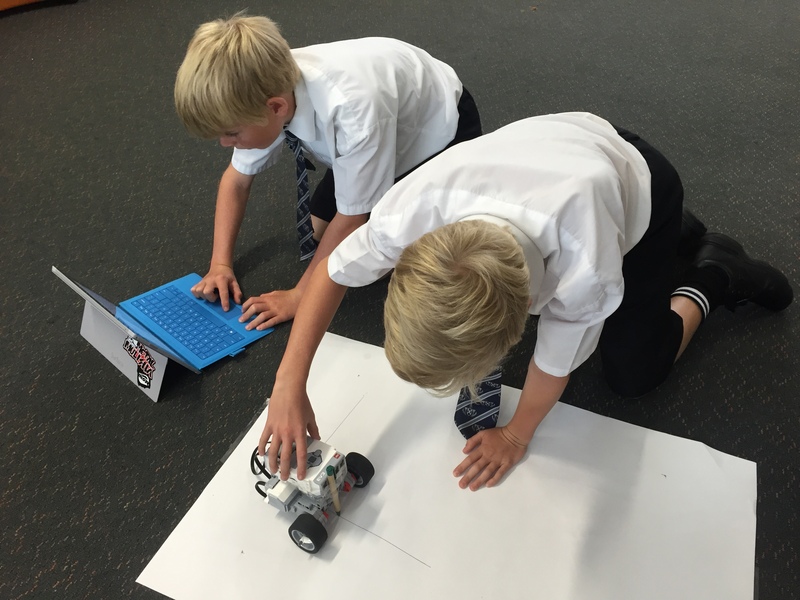 2016 has seen the continuation of introductory sessions with all year 7 classes, where they investigate the basic functionality of their EV3 robots – such as making the robots move forward, and turn. utilising the robots to help her students apply their knowledge of regular polygons. In order for Technology to be appropriately integrated into planning, it is important that the tool selected complements the desired learning outcomes. Having introduced the new learning, the children were now required to apply it, and integrate it with their basic knowledge of robotics. The development of a Growth Mindset is facilitated by resilience, and a love of learning. The first lesson in this series became a trial and error session as students had to persevere to respond to the slight differences in response between individual robots, in terms of the amount of turning they observed in response to particular programming commands. Once the students had ironed out the nuances of their robots they were able to meet their first challenge – to get their robot to draw a perfect square. This challenge required even more perseverance for the students to complete perfect right angles with their squares. Mrs McBride observed students completely engrossed in their tasks, as they strove for perfection. For the groups that tasted success early, they were presented with a second, and much more complex, challenge – to get their robot to draw an oval, or a hexagon. This challenged the students to apply their understanding of these different shapes, and the properties of each, before then programming their robot to produce the shape. It is easy to introduce an engaging tool like Robotics to students. What is more difficult, and what I am much more interested in celebrating, is when a teacher can take that tool, and create a series of lessons which authentically integrate that particular technology into the curriculum. I feel that that is exactly what Mrs McBride has achieved here. 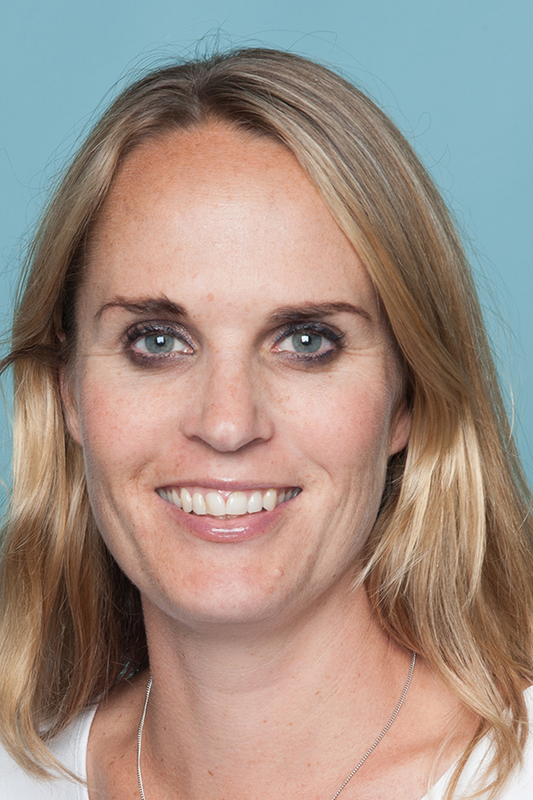 She has planned an engaging, relevant, and scalable task – which has challenged her students to contribute to their own learning. This post was originally published on the Interface Magazine Online website – you can read the original post here. Last year was my first teaching robotics. We began a Robotic Club using EV3 Lego Mindstorms, which quickly found its legs and became firmly established across the Preparatory School. It was a fantastic learning experience; the children were enthralled, writes Briony Marks, St Andrew’s College, Christchurch. We began with construction and attempting to understand the components. Identifying the sensors and motors was a key factor. Discussing wheel size and rotations formed part of our initial learning. With time, we began to program the Lego Block. Hanging to the instruction booklet like a life raft, the students and I navigated the early concepts. Our confidence grew and, when asked to make a presentation to the PTA in Term 2 about the benefits of a widespread robotics programme, I was able to talk confidently about the phenomenal learning that had happened in our club. Our students were measuring in degrees, centimetres and metres; calculating turns; programming and sequencing and all within a couple of 40-minute sessions on a Friday lunchtime. We were fortunate enough to receive another eight sets of the Education Edition EV3. This was to enable us to roll out robotics on a class scale (allowing one robot between two in our maximum classes of 26). The year saw a huge transition, from a small group of 15 experimental and brave Year 5 students to a school-wide project. At the beginning of Term 3, we decided to enter the RoboCup Junior New Zealand competition (robocupjunior.org.nz). This was an ambitious plan with only five weeks to prepare. We selected five teams (from Years 5, 7 and 8) and with two full days blocked out and about two extra hours a week we went from unpacking and building to choreographing a piece of Robot Theatre. The time frame was tight, with little opportunity for instruction in even the basics. However, the students managed to self and peer teach to eventually put together four very different theatre pieces. We were incredibly pleased with their hard work. From ‘Mazerunner’ to ‘The Hunger Games’, ‘Jurassic World’ to ‘Pink Panther’, students’ ideas and creativity came to life with MDF, plenty of paint, papier-mâché, some poorly mixed soundtracks and, of course, the robots! Three weeks prior to RoboCup I attended a training day with the fantastic Sandy Garner at the University of Otago. Her easy-to-use booklet allowed me to grasp huge concepts of programming. This structure has driven the way I now introduce the robots to my classes. Her website Learning with robots (learningwithrobots.weebly.com) hosts a wealth of resources that will help focus your planning for establishing a robotics course. The greatest challenge I found was trying to structure lessons that allowed for creativity and continued success to maintain student engagement. 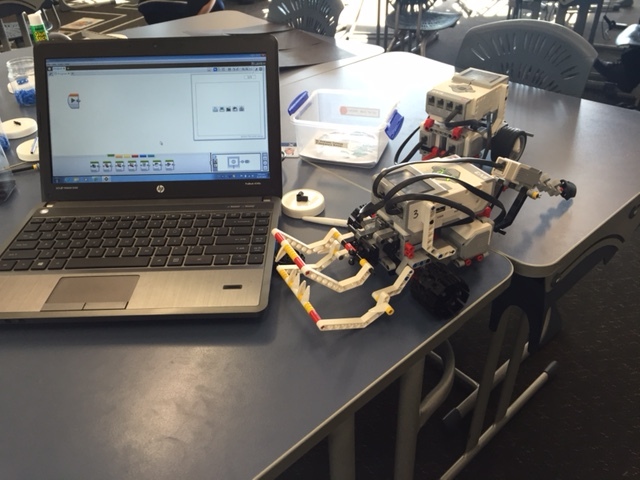 Term 4 saw us expand Year 4s, who have been chomping at the bit all year long to get their hands on a robot! These young masterminds blew me away with their ability to problem solve (as I become a more confident teacher of robotics the children are encouraged to experiment more). I’m incredibly proud of the reaction of the students and parents, and of myself for being able to understand and teach others to use the robots (mostly) with success. I hope that I’ve managed to inspire some future robot engineers, modelled a ‘growth mindset’ rather than a ‘fixed one’ … and also that I might have broken down some stereotypes about women and tech along the way! The Arch Challenge – Students must navigate through a simple arch maze. They must not cross the lines and must perform a ‘trick’ at the top. This allows them to experiment with different turning styles and the sound and image function. Complete the Arch Challenge and start the Red Riding Hood challenge. This is from Sandy’s booklet, which shows a sweet challenge where students must navigate safely from Grandma’s house to Red Riding Hood’s garage. She must stop at the main road, check left and right and then navigate the maze to reverse safely into her garage without being eaten by the wolf! Introduce the Ultrasonic Sensors and loops to create a program that lets the robot navigate the classroom without crashing. During Term One and Two this year Miss Bryony Marks, among a number of other projects, initiated a Robotics club at Year 5 in the Preparatory School. 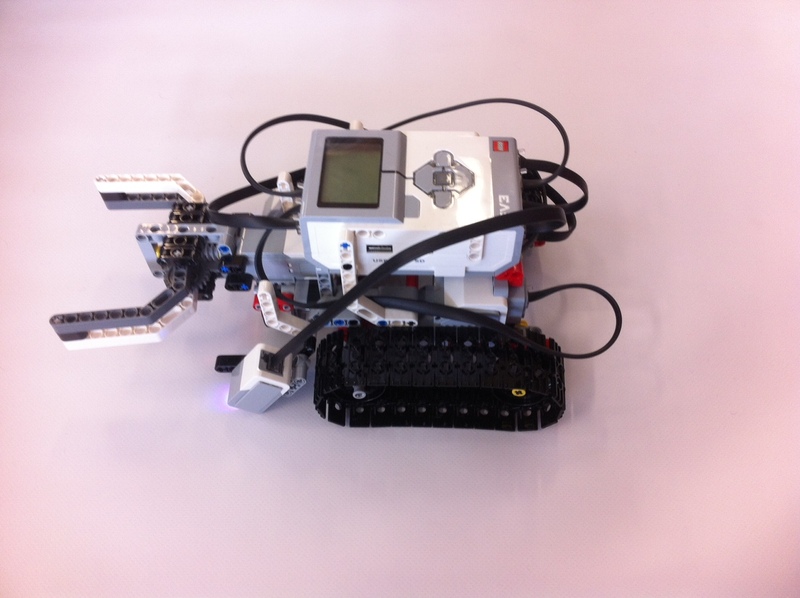 Initially the club was open to 15 students, using Lego Mindstorm EV3 to build and program in groups of 3. The purpose of the club was to introduce Year 5 students to Robotics, thus setting the groundwork for future expansion of robotics as these students progress through the college. In response to overwhelming demand and interest form other year groups, it was immediately obvious that an expansion of resources was needed. 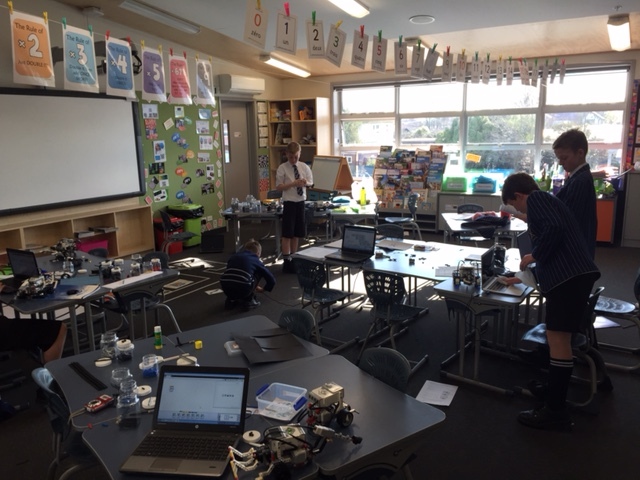 The extremely supportive College PTA was approached for support in this area, and generously responded with $5000 funding for a further 8 sets – allowing whole class robotics for the first time. This now allows all children in the Preparatory school the opportunity to engage with this exciting technology, and to authentically apply their basic block programming skills to robotics. The next logical progression in this rapidly evolving programme was to enter teams in the Canterbury Regional 2015 RoboCup Junior competition. This national competition requires students to use their programming, engineering, and creative skills to entertain, delight, and thrill an audience. They must design up to three robots that are used in a 1 to 2 minute themed performance based around either robot theatre, or rescue. At Year 5 and Year 7, all interested children were given the opportunity to ‘trial’ for these competition teams, with Miss Marks looking for children with a range of skills such as organisation, programing, robot building and creativity. The two Year 5 teams were chosen after a ‘Loop Walk’ challenge which required them to self-teach and apply their new knowledge in small groups to program a robot to walk a square course in the style of their choosing. Year 7 teams were chosen through a Little Red Riding Hood Challenge, which required them to program a Robot to navigate from Grandma’s house to Red Riding Hood’s garage, while stopping to look for cars. and then reversing into their garage. The final team is a two person Year 8 team that was selected based on previous experience. James has an interest and experience in programming, while Ethan has a passion for Robotics. On Friday all five teams spent the day preparing for the competition. Over the course of the day they conceptualised, built and programmed their robots. The room was a busy hive of activity throughout the day, as student groups worked independently on the numerous challenges involved in such a task. James and Ethan are entered in the Research and Rescue Challenge which requires their robot to follow a black line across the performance area, sensing and responding to green squares. Finally, it must grab a tin can from the center of the area, eventually returning it to the beginning of the course. James noted that his biggest challenge of the day was applying his previous block programming experience through Scratch into the new platform; EV3 Mindstorm. Ethan’s main challenge was trouble-shooting the challenges that the colour senses proved, as they initially struggled to perform as expected. Click below to see a short video of an early prototype from the day! We wish all St Andrew’s College Teams well as they continue to prepare for the regional competition on August 16th! 2015 has seen two Code Clubs start at St Andrew’s College with Mr Phil Adams running one in the Secondary School since the start of the year and Mrs Vicki Pettit alongside Mr Wilj Dekkers starting one in the Preparatory School during Term 2. The Preparatory school are using the resources provided via Code Club Aotearoa and there are around 20 students that attend regularly, within which there is a reasonably even break down of beginners and intermediate coders with 2-3 advanced coders. The resources on the Code Club Aotearoa website are perfect for beginning and intermediate students however, Mrs Pettit is exploring options for the more advanced students and in what areas they can possibly start to apply their skills e.g. robotics, Raspberry Pi projects and possibly entering them into the Canterbury Core Education Digi Awards. The other pathway recently made available to these Prep students is Monday lunchtimes with Mr Adams in the secondary school code club. There was currently no option in the Junior curriculum (Years 9-10) for programming which means when students can take this at Year 11 they are often being introduced to the concepts for the very first time. There were a number of very keen students who did not have an avenue for support in their coding unless they persevered by themselves and were essentially self-taught from online. Whilst there was an initial surge of enthusiasm from students, this settled into those that were committed, keen and prepared to give up a lunchtime to learn more. Having looked at the formal code clubs that existed (such as Code Club Aotearoa above), Mr Adams also reviewed online offerings such as Code Academy and Code Avengers which were useful, particularly Code Avengers which aligns with the New Zealand NCEA standards. Ultimately, however, he decided that students could continue to access these in their own time and that the focus of the Code Clubs at StAC would be slightly different. As a text based language the syntax is not complicated and it is very logical. Therefore, the learning curve would not be too steep for our new students. An alternative language such as C or C# would be too challenging for them to start with. As students learnt the basics, Mr Adams focused on creating a team culture where students could learn from each other: the beginners seeking help from more advanced students, who in turn could reinforce and demonstrate their understanding of Python by teaching the beginners. Through this approach, it is hoped the Code Club will become self-perpetuating and independent with a positive and interactive culture. I used to do coding at my old school, Selwyn House. There, it was a big thing and we did robotics and Hour of Code. The code club at StAC is super fun. Mr Adams is a really good teacher and he always lets us figure out why our code hasn’t worked. I go to code club because it is something I feel will benefit me in the future, and it is my intended career path. Computer programming is one of my passions, it is something that I enjoy doing in my own time. It is extremely fun, learning new things and being able to help others who do not know so much. A project I just finished recently was the year 12 internal exam, where you make a program in python that allows a user to select, order and store different pizzas with a range of flavours and prices. I feel that in the future Programming will be a large part of nearly every job. The motivation for starting Project Euler, and its continuation, is to provide a platform for the inquiring mind to delve into unfamiliar areas and learn new concepts in a fun and recreational context. To complete the activities on the website, students will need strong mathematical ability but also programming skills. One example from this website that Mr Hilliam, Maths and Statistics teacher at St Andrew’s, has used with his students is to write code that identifies the sum total of all prime numbers under 1000. With keen students in the secondary school, along with increasing numbers of students coming through from the Preparatory and other feeder schools, providing an avenue for students to learn coding at St Andrew’s College is essential.